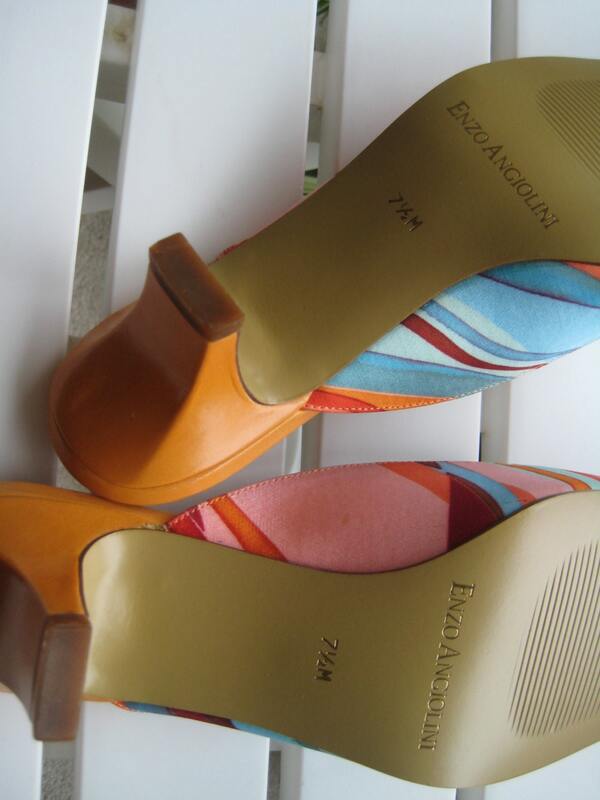 Retro Sixties design on these Enzo Angiolini mules are a cool find! New without tags. 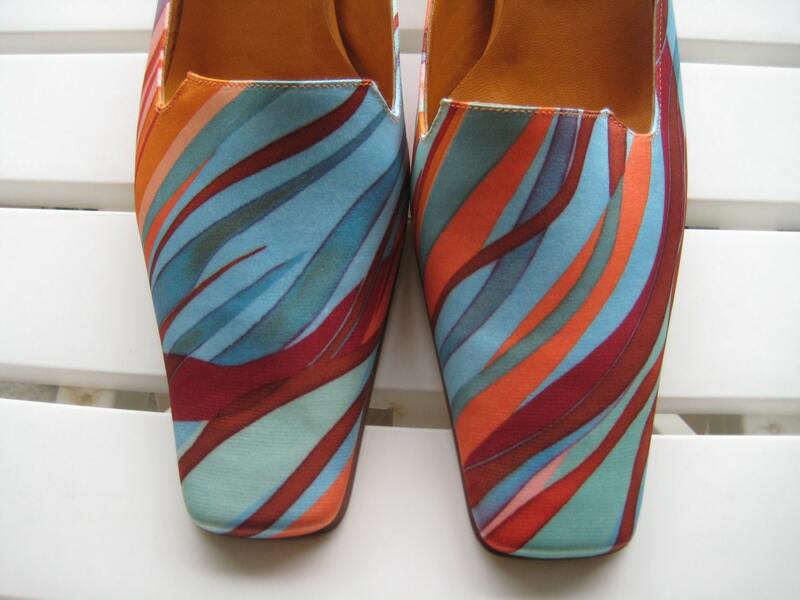 Square toe slip on with a blue, rust, and salmon color swirl faux leather upper. One inch heel. U.S. women's size 7.5. 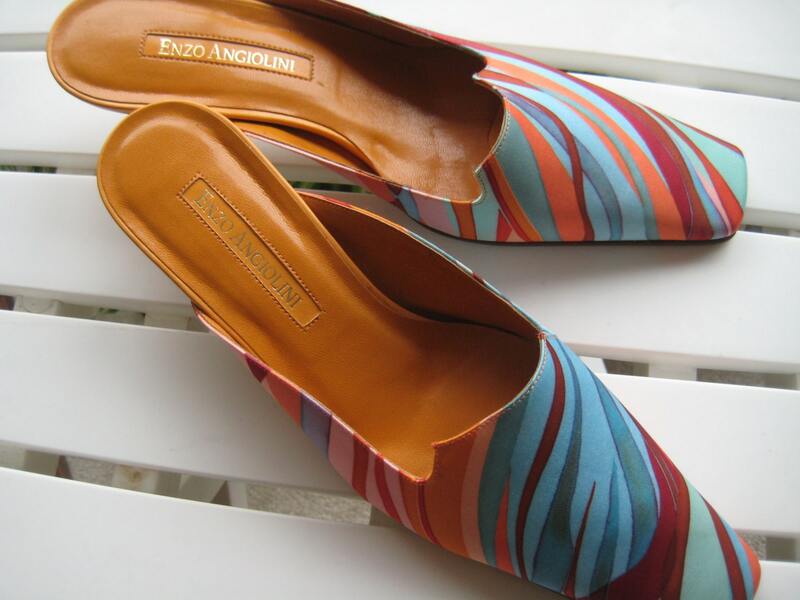 Fashionable and comfortable!